Pleio is excited to announce that the Pleio GoodStart Lite program is highly effective, generating an average of 1 additional prescriptions per patient during their first year on therapy. 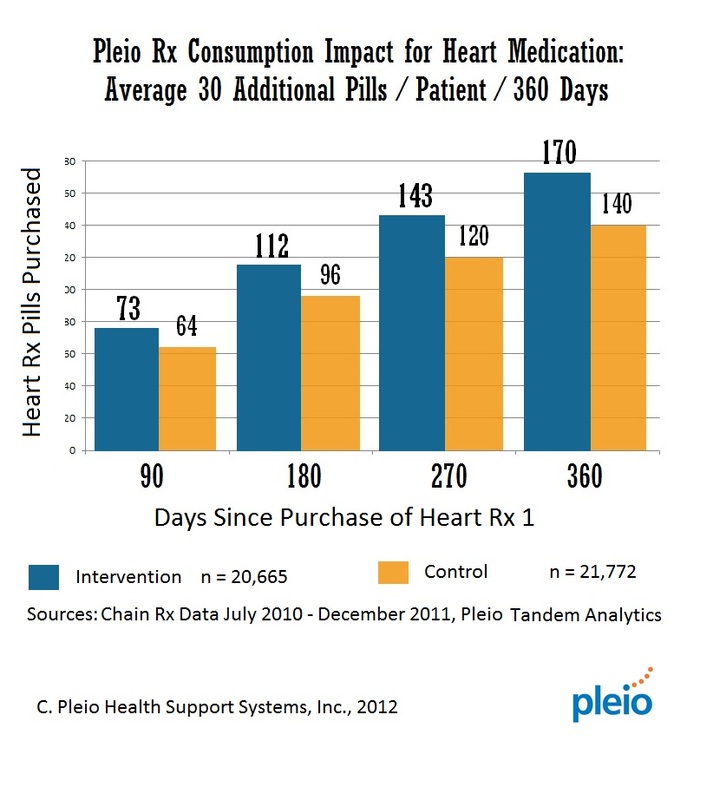 Analysis of Rx data from over 20,665 recent patients supported through several regional pharmacy chains across the US from July 2011 to December 2012 shows that Pleio GoodStart has a significant positive impact on medication adherence. D. Up to 1 phone discussion with their Pharmacist, if necessary. Patients supported through the GoodStart program, filled an average of 1 additional prescription for their heart medication during their first year of therapy, compared to the control group. Pleio will continue to share more insights in the coming months, and invites other groups with data (published or just explained) on recent adherence programs studied among large populations to post links to their results.